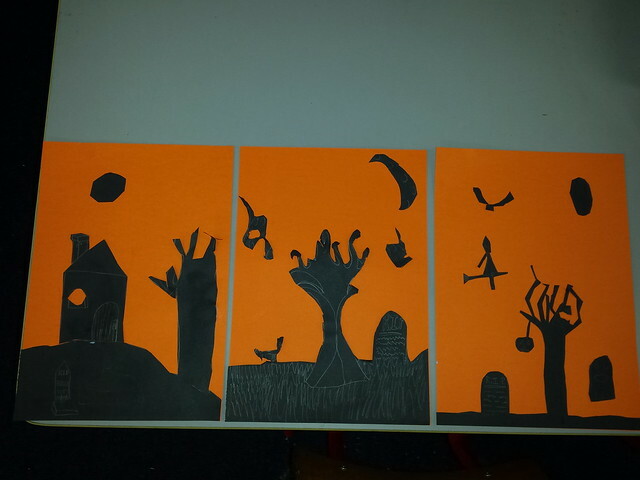 Second class created these wonderful silhouette pictures after exploring the whole area of silhouettes in art discussions. 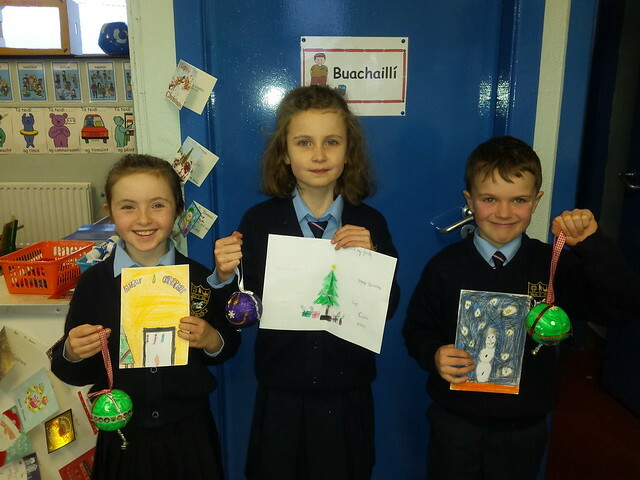 Pupils in second class had great fun recently creating these very unusual pictures. 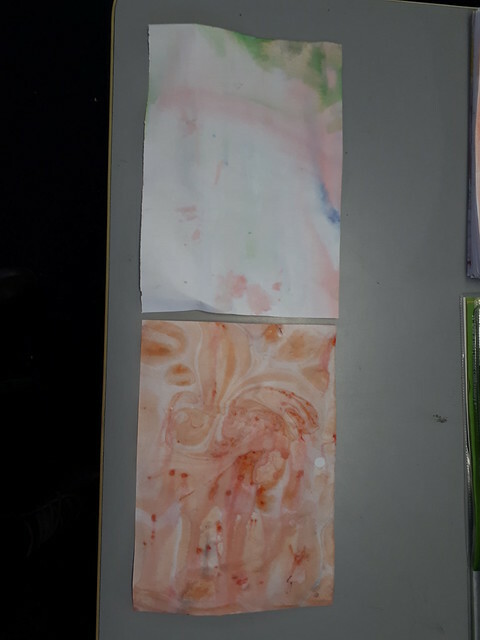 The art / science experiment had two parts to it. Firstly pupils prepared two trays containing milk. Into both trays we placed droplets of different coloured food colouring. Vegetable oil was then added to the first tray and washing up liquid was added to the second tray. Here are the results. 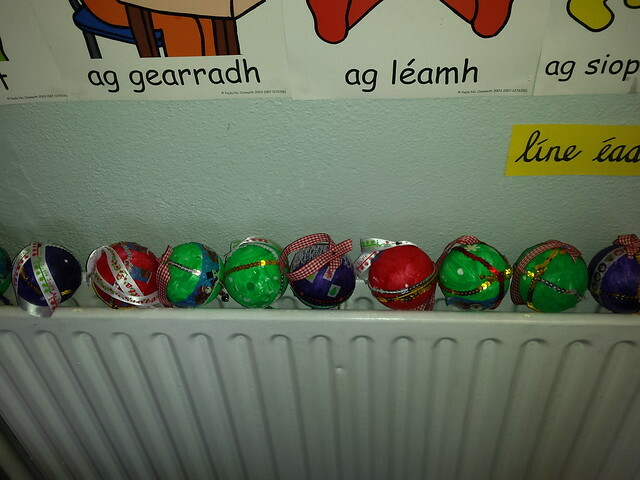 Pupils in second class made these wonderful baubles using fabric and ribbons. 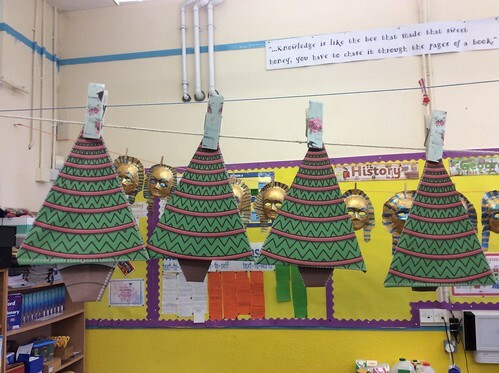 Each one was unique and hopefully will be hung on Christmas trees for years to come! 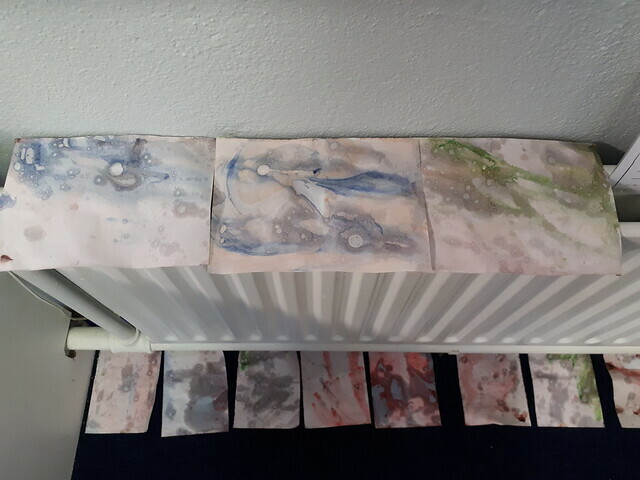 They also made pop-up Christmas cards. 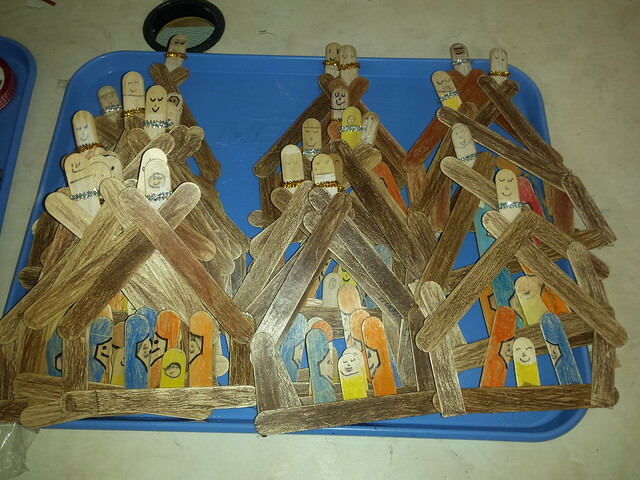 Second Class were busy at Christmas making these wonderful cribs from lollipop sticks and pieces of hay. 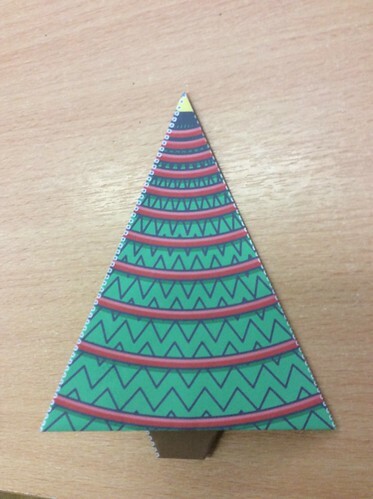 3rd class are busy preparing for Christmas & have started by learning some simple Origami - the art of paper folding.